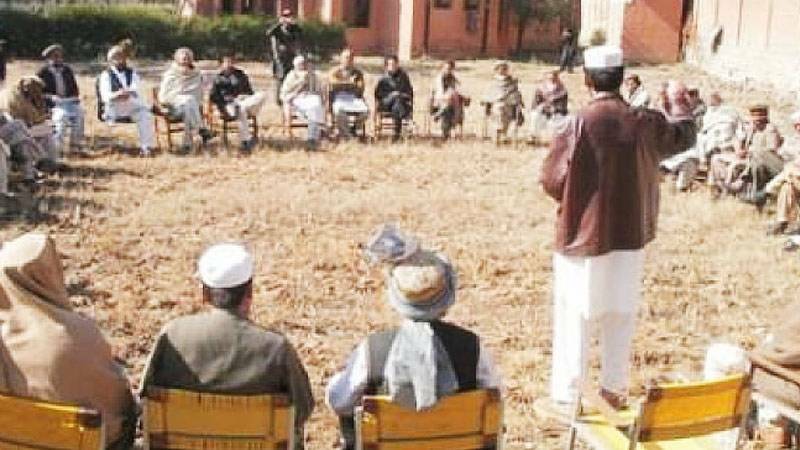 BAJAUR AGENCY: Local elders on Tuesday peacefully settled a ten-year-long enmity between two rival tribes. The settlement was reached at a ceremony held in the mountainous Badan Town of the Mamond tehsil, which was attended by hundreds of tribesmen, elders of various sub-tribes and workers of different political and religious parties. Former Governor Khyber Pakhtunkhwa Engineer Shaukatullah Khan and senior officials of the local administration including Assistant Political Agent Anwarul Haq were also present on the occasion. The elders of both the rival groups forgave each other and took an oath on the Holy Quran that they would live like brothers in the future. Speaking on the occasion, Engineer Shaukatullah Khan said that personal disputes and clashes were not only disturbing peace and normalcy in the region, but were also affecting the flow of socio-economic development in the agency. He called upon the elders and the religious leaders to speed up their efforts to get the agency rid of all sorts of disputes and conflicts.